An Alaska marijuana regulation bill continues its slow advance, another Michigan legalization initiative effort emerges, Texas pot bills get a hearing, the DEA recommends tripling the federal research marijuana crop, and more. Alaska Marijuana Regulation Bill Advances . The House Judiciary Committee Wednesday approved a bill to create a marijuana control board to govern the state's soon-to-be legal pot industry. The committee advanced the bill, House Bill 123 , without adopting amendments that would have barred people with felony convictions within the past five years or misdemeanor drug convictions within the past three years from getting licenses. The bill now goes to the House Finance Committee. Michigan Legalization Initiative Group Files Proposed Language . The Michigan Cannabis Coalition today submitted proposed language to state officials for review. The coalition is one of three groups  considering a 2016 legalization initiative. If approved for signature-gathering, initiatives would have to come up with some 250,000 valid voter signatures within 180 days to qualify for the 2016 ballot. Texas Marijuana Reform Bills Get Hearing . The House Criminal Jurisprudence Committee ran late into the night last night hearing impassioned testimony on a set of bills aimed at decriminalizing marijuana. The main bill is House Bill 507 , by Rep. Joe Moody (D-El Paso), which would make possession of less than an ounce a civil infraction. Another bill, House Bill 325 , from Rep. Gene Wu (D-Houston) would make possession of less than a third of an ounce a Class C misdemeanor, the least serious criminal offense. Yet another bill, House Bill 414 , from Rep. Harold Dutton (D-Houston) would make possession of less than an ounce a Class C misdemeanor, while House Bill 1115 , from Rep. Senfronia Thompson (D-Houston) would keep pot possession a misdemeanor, but would require police to cite and release anyone caught with less than four ounces. Finally, House Bill 2165 , from Rep. David Simpson (R-Longview) would remove all marijuana prohibition laws from the books. No votes were taken. Wichita Seeks Court Ruling on Legality of Local Decriminalization . The city has filed a petition for declaratory judgment in local district court asking the court to rule on the legality of enacting a decriminalization ordinance approved Tuesday by voters. State Attorney General Derek Schmidt said last month that the ordinance would have no effect, and he's also warned the city that he would be required to sue to enforce state law. DEA Recommends Government Triple Amount of Marijuana Grown for Research . The DEA recommended Wednesday that the government produce nearly 900 pounds of marijuana for research this year, more than three times the amount the agency had estimated it would need. The increase is because of "unanticipated medical, scientific, research, and industrial needs of the United States," the agency said in a notice published in the Federal Register . Tennessee Medical Marijuana Bill Dead for This Year . Both the Senate Health and Welfare Committee and the House Health Committee voted to kill pending medical marijuana bills this week. Both committees, however, agreed to create summer study committees to look at the legislation. Florida Senate Panel Takes Up Asset Forfeiture Bill . The Senate Appropriations Subcommittee on Criminal and Civil Justice today took up Senate Bill 1534 , from Sen. Jeff Brandes (R-Tampa). The bill would limit law enforcement to using seized funds only to reimburse themselves for the cost of holding seized property, with the rest going into the Crimes Compensation Trust Fund. Drug Czar Touts Needle Exchange Programs in Kentucky Visit . 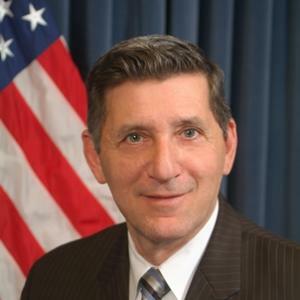 Director of the Office of National Drug Control (ONDCP -- the drug czar's office) Michael Botticelli touted needle exchange programs as a means of reducing the spread of infectious diseases and to steer drug users toward treatment in a visit to Kentucky Wednesday. He said the program also reduce the danger of law enforcement getting stuck with dirty needles. Kentucky lawmakers just passed an anti-heroin bill that will allow for needle exchanges, and a nearby Ohio county just started an emergency needle exchange to combat an HIV outbreak. Chile Harvests First Medical Marijuana Crop . TV cameras were on hand in Santiago Wednesday as the country's first permitted medical marijuana crop was harvested. Chilean health officials last fall gave the okay. The therapeutic Daya Foundation will produce cannabis oils from the plants and provide them to 200 selected cancer patients.